The most ruthless villain in the Marvel Universe takes center stage as we celebrate the 80th anniversary of the House of Ideas with the era-spanning MARVEL TALES! 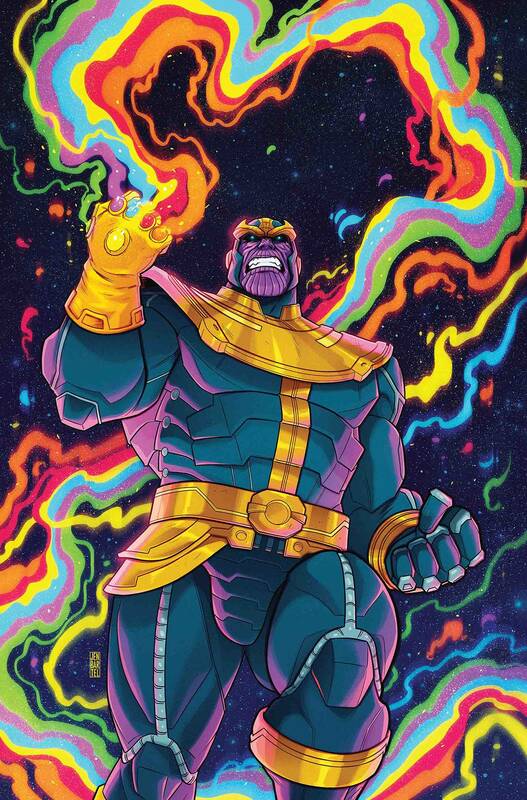 This anthology series shines a spotlight on fan-favorite characters, features timeless stories and highlights some of Marvel's most impressive talent from the past eight decades - and for Thanos, it could only be the cosmic maestro, Jim Starlin! Reprinting the classic tale, written and drawn by Starlin, that first revealed Thanos' stunning connection to the deadliest woman in the galaxy - Gamora - from WARLOCK (1972) #10! Another Starlin-scripted epic pits the Mad Titan against one of the MU's greatest evils - the devilish Mephisto - in SILVER SURFER (1987) #45! And Gamora gets the chance to unleash her full fury on her twisted father figure in WARLOCK AND THE INFINITY WATCH #8! Rated T.